Click Subscribe above to follow events directly on your iPhone or other calendar! Can’t see what you were looking for here? propose an event and let’s make it happen! 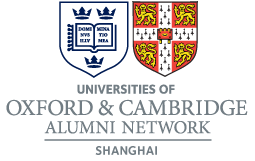 We do also list some non-society events of likely interest, for more Shanghai UK focussed events see the British Chamber of Commerce lists of Non-Chamber Events or Chamber Events. Do remember we are a non-profit making organisation staffed by unpaid volunteers all helping each other to get to know and make sense of Shanghai – your help is most welcome! See also: Historic events 2006-2015.